Investigators say the two aren't suspects in the shooting death of Tom Clements, but they are members of the same white supremacist gang as the man suspected of shooting Clements. COLORADO SPRINGS, Colo. — Both of the suspected white supremacist prison gang members whose names surfaced during an investigation into the slaying of Colorado’s prisons chief are now behind bars. Colorado Springs authorities arrested Thomas Guolee, 31, around 5:30 p.m. Thursday in Colorado Springs, according to El Paso County sheriff’s officials. They didn’t immediately release circumstances or details of his arrest. He was being held without bond for a parole violation, sheriff’s officials said. 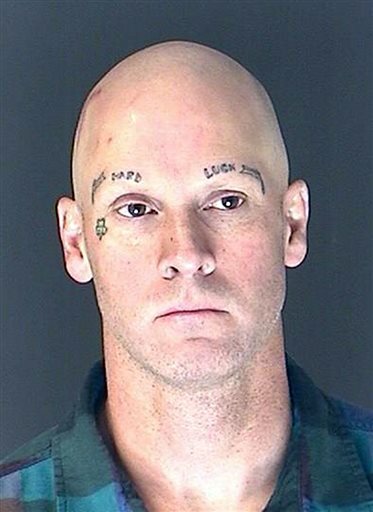 The arrest came nearly a week after another alleged member of the 211 Crew, James Lohr, in Colorado Springs after a short chase. Lohr, 47, is now being held on charges including vehicular eluding. His bond has been set at $250,000. Investigators say the two aren’t suspects in the shooting death of Colorado Department of Corrections head Tom Clements, but their names came up during the investigation. Authorities last week told law-enforcement officers to look out for both men, who had outstanding warrants unrelated to Clements’ death. Court records show Guolee was arrested in 2001 after a member of the Crips gang told Colorado Springs police he was jumped by Guolee and another gang member because they believed he was a member of a rival gang. The witness told police Guolee and the other gang member punched and kicked him in the face and left him bleeding. In 2007, Guolee was charged with assault and intimidating a witness while in the El Paso County jail after an inmate said he was assaulted by three men, including Guolee, because they thought he was going to testify against a suspect in another case. Authorities said the man was beaten so badly he could have been permanently disfigured. The outcome of some of those cases was unclear. Authorities also have not released the subject of Guolee’s warrant. Guolee’s mother, Debbie Eck, has said that her son called her husband last month — before he was named a person of interest — asking for help turning himself in for what she believed was a parole violation. But she said they never heard back from him. She told KUSA-TV that she’s relieved now that he’s in custody. “Thank God. It was way overdue. I just want him to get things taken care of so he can be part of his daughter’s life. My heart’s been hurting,” she said. Parolee Evan Ebel is the only suspect that has been named in the killing of Clements, who was shot when he answered his front door March 19, and of Nathan Leon, a father of three who was shot March 17 while working as a pizza deliveryman. Ebel was later killed in a shootout with Texas authorities. The gun he used to fire at authorities there is the same one used to kill Clements. A pizza uniform and pizza carrier were also found in Ebel’s car. Investigators are trying to determine whether Leon was killed for his uniform with the intent of persuading Clements to open his front door. Authorities haven’t specified how Guolee and Lohr came up in the investigation into Clements’ death, but they believe Lohr was in contact with Ebel days before the killings. 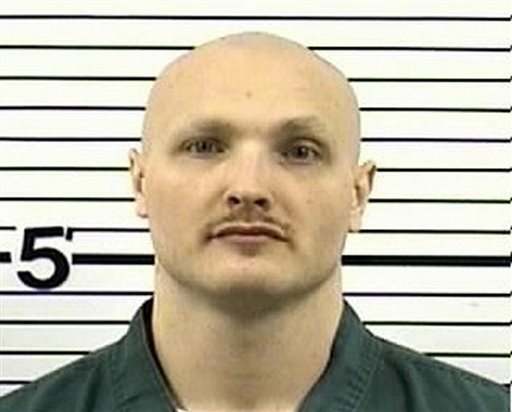 Prison records say that Ebel was a 211 member and the El Paso County Sheriff’s Office say both Guolee and Lohr are members.